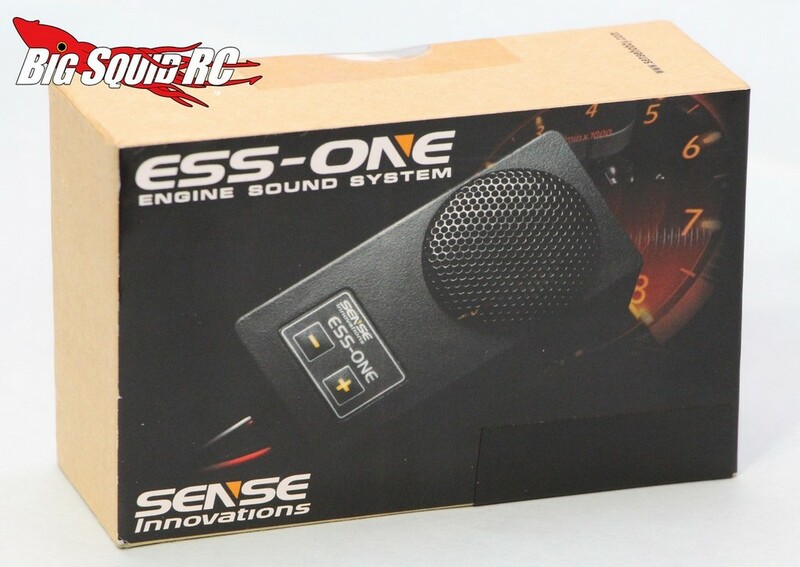 Sense Innovations ESS One Engine Sound System Review « Big Squid RC – RC Car and Truck News, Reviews, Videos, and More! Includes: ESS-One sound module, instructions, USB adapter, and various wiring. Test Drivers: Iron Mikeee, Tim Mohr, and THE Cub Reporter. 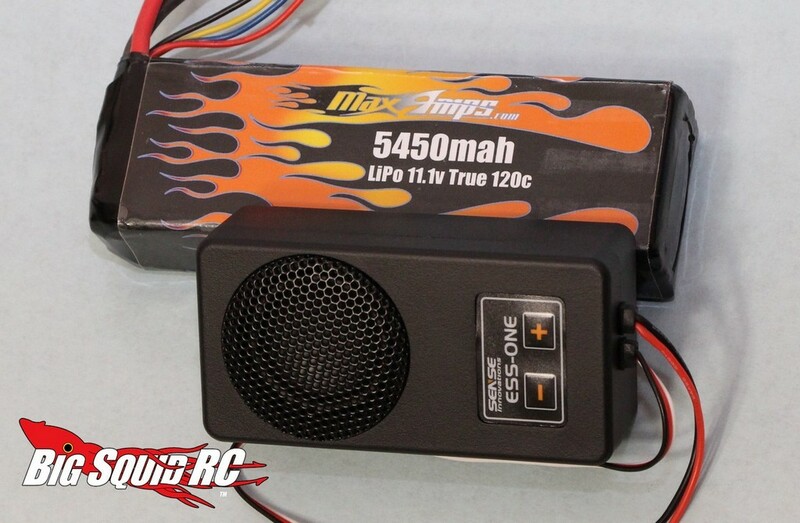 Test Platform: We popped the ESS-One in our Pro-Line PRO-MT. 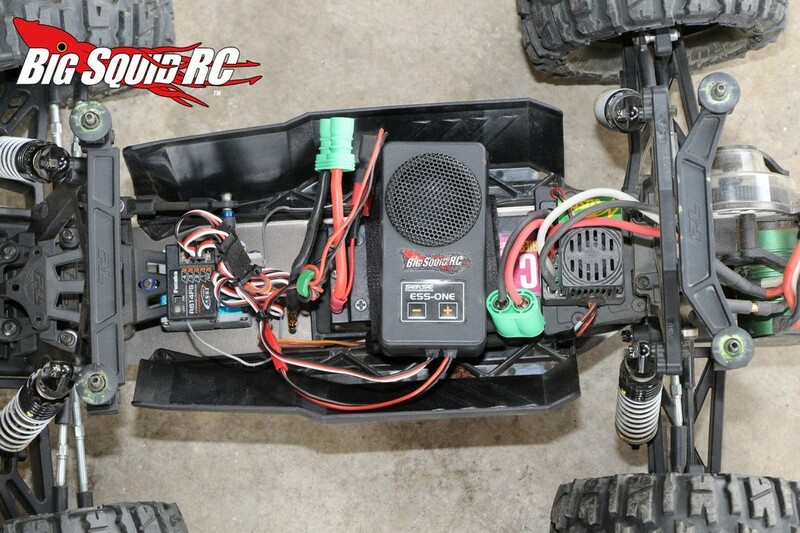 A Futaba 4PX was used for the transmitter, an Xpert servo did the steering, while a Castle brushless system and 2S Racer’s Edge LiPo supplied the power. The install is quick and easy. Total install time on the ESS-One was under 5 minutes, but if you run a Deans connector that time will be even faster. Once you have connected the ESS-One to your receiver and battery pack you have to calibrate the sound module to the throttle of your transmitter. This is also incredibly easy and takes about 10 seconds. Yes, the various sounds are quite realistic. The start up sounds are realistic, so are sustained partial throttle settings, as are the sounds made when quickly varying the engine load. The stock shifting sounds are accurate, as was the included turbo sound. To boil it down, all the sounds made by the ESS-One are very accurate. Want to turn heads at your local bash area? I mean truly make people nearly rip their heads off by turning around so quickly? The ESS-One will do that. When we ventured to a local bash track people were truly in awe of the ESS-One. Some loved it, some hated it (the racer types), but regardless of who it was, it seriously turned heads. And it just didn’t turn the heads of other hobbyists, even Muggles (slang for people not in the hobby) were digging it. Two of our three reviewers have been in the hobby for more than 30 years, while the other (Iron Mike), has been in for about a decade. All three have done tours in nitro, but mainly drive electric. With that said, it took a while to get used to driving with a “real” engine sound coming out of our electric truck. Our test drivers kept listening for residual spur/pinion/drivetrain noise to help them know how the truck was driving. Once our drivers quit trying to hear past the engine module (to hear the pinion/spur whine) and started trusting the sound coming from the sound module, they started appreciating the realistic engine sound. Once you get used to the sound module it truly brings an incredible experience to driving. We found that after the unit was properly calibrated that the engine sounds were a bit weak from zero to 1/4 throttle. We ended up “lying” to the brain unit, telling it that 3/4 throttle was actually full throttle during the calibration process and it seemed to fix the problem. If you do a speed run while using the ESS-One the engine sound seemed to “stick” at the end of a long pass. For example, we would cruise down the street WFO and when we let off the throttle the sound module kept producing a wide open engine sound for a couple of seconds after we had let off. We did not experience that issue when not doing speed runs. The software that you use to change engine/turbo/brake sounds leaves something to be desired. While most of it is in English, not all of it is, and the program seems to run on the slow side. The ESS-One uses a non-regulated power supply on its audio amplifier. This means that it will be louder on a 3S pack than on a 2S pack. 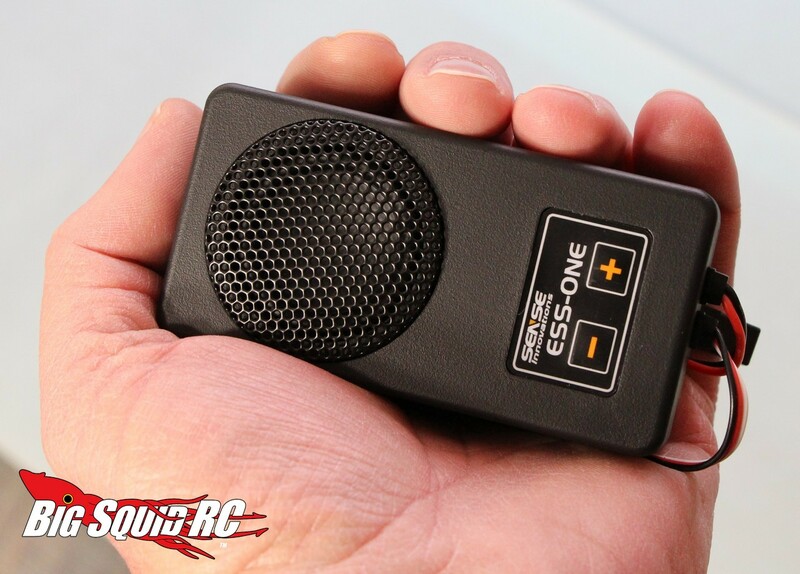 While the ESS-One has a decent volume and can be heard from a couple of hundred feet away, it was not quite loud enough to overcome all the spur/driveshaft noise of our review platform (the PRO-MT). While not “huge”, the ESS-One isn’t small either. Yes, it can fit in your touring car/monster truck/short course truck, but there are a lot of vehicles that it simply will not fit in. While there are quite a few different engine sounds that come free with the unit, not all of them are, and we feel that at a $99 price point we should not have to pay to get all the different sounds that are available. Car Show Rating: B No, the ESS-One can’t be seen with the body of your truck on, but it does looks like a professionally done piece of electronics. Bash-A-Bility: B We didn’t have any issues with our review unit. However, our staff agreed we could not give it an “A” in this category because it was not waterproof. Sound Quality: B The sound quality is pretty much spot-on, we just wish it had a touch more overall volume. Fun Factor: A From turning heads to simply enjoying having a real sounding rc car, the ESS-One is a LOT of fun to drive with. Value: C No, there aren’t many other sound systems to compare it to price wise, but all our reviewers felt the $99 price tag was a bit steep. 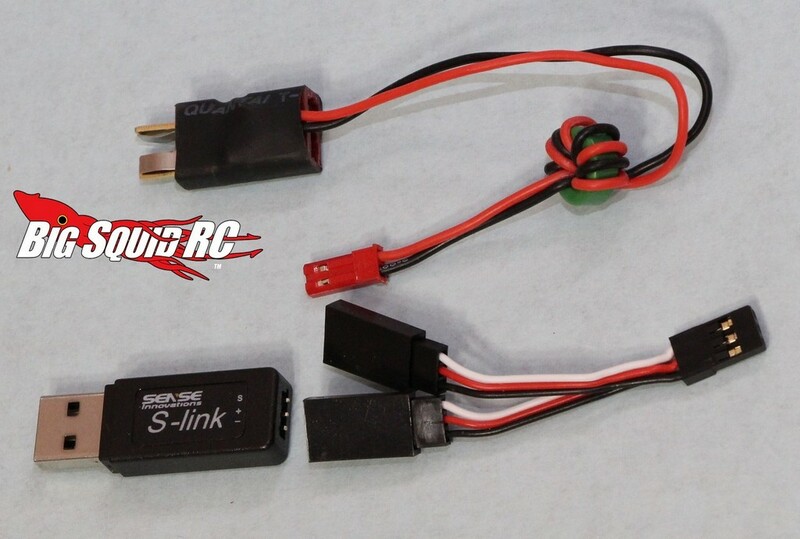 Big Squid Rating: B Like it or not, the rc world is changing and part of that change is to realistic sound. The ESS-One does what it is supposed to and can bring a whole new experience to your driving.